Yet another mouth-watering series involving world champions South Africa awaits cricket fans around the world, as they take on Pakistan at home after six years, starting from February 1. Though this time it won’t be a tussle for the world championship as Pakistan sit fourth currently, there will be no doubt that it will be a fascinating duel between the champions and the challengers. 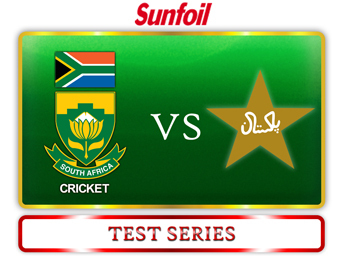 The series will commence with the first Test from February 1-5 at the Wanderers in Johannesburg. The next two Tests will be held Newlands in Cape Town (February 14-18) and the SuperSport Park in Centurion (February 22-26) respectively. Pakistan have failed to win in any of the 5 Tests they have played across these three venues, losing 4 of them. South Africa’s 2-1 win in the 2006-07 was achieved by wins at Centurion and Cape Town. 18 Tests have been contested between the two countries since they first met each other in 1994-95, South Africa winning 8, Pakistan 3 and 7 being drawn affairs. 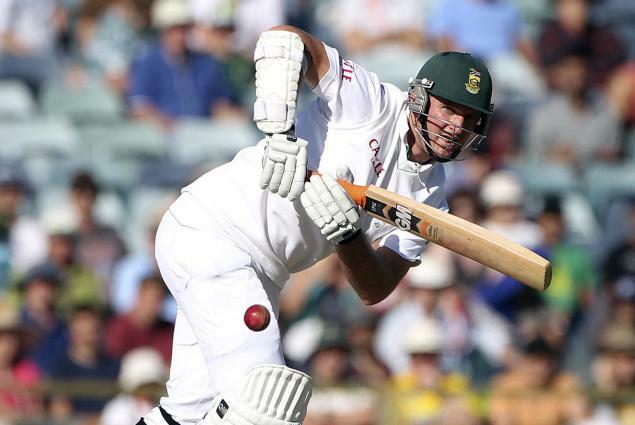 9 of these Tests have been played in South Africa, with the hosts enjoying a 6-2 advantage. The last time the two teams met was in 2010-11, when a 2-match series in the UAE was drawn 0-0. The last time South Africa hosted Pakistan was in 2006-07, when South Africa won a well-contested 3-Test series by a 2-1 margin. South Africa extended their stay at the top by a crushing 2-0 sweep against New Zealand at home recently. The Proteas have been undefeated in a series since 2008-09 (when they lost to Australia 2-1 at home), and their recent record is clearly worthy of being champions – they followed their championship-clinching win in England with one in Australia two months back. 4th-ranked Pakistan have greatly impressed of late, in spite of playing relatively few matches than other higher-ranked nations. Their last series was in Sri Lanka in 2012, where they lost the 3-Test series 1-0 – their first loss after 7 series and nearly two years. Prior to that, Pakistan famously whitewashed then champions England 3-0 in the UAE. They have won 9 and lost 2 out of 18 matches since the 2010 spot-fixing controversy. Under the calm Misbah-ul-Haq, they have found great consistency, which as a rule has been conspicuous by its absence in earlier Pakistan sides. Knowing Smith’s weakness against quality left-arm pace, his duel with Junaid will be a fascinating one. Record-breaking South African skipper Greame Smith will captain a Test side for the 100th time (including once for ICC World XI) when he leads South Africa onto the field in the first Test at Johannesburg, while the second Test will be officially his 100th as South African captain. Handed the Test captaincy at the age of 20 ten years back, Smith is undoubtedly one of the modern day greats, and right up there with the best captains of all time. He will be looking to have a good time with the bat as well, given that he is the 2nd-highest run-scorer in Tests between South Africa and Pakistan with 849 runs (623 behind first-placed Jacques Kallis) including 3 hundreds. 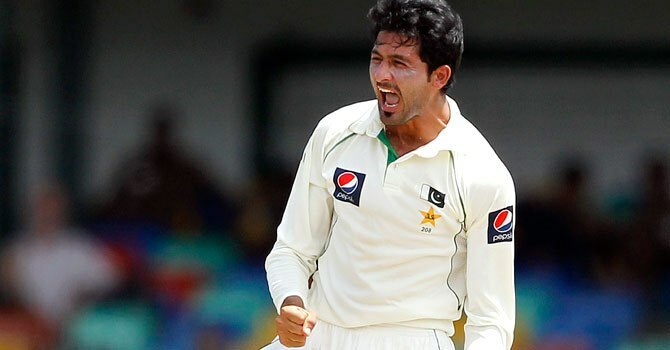 The Pakistani team is filled with quite a few promising young fast bowlers, but none more so than the 23-year old left-arm seamer Junaid Khan. His 8-Test career statistics might not be awe-inspiring (27 wickets at 26.70), but he is already being touted as the next great Pakistani fast bowler. Junaid has the ability to regularly swing the ball both ways, and this makes him a potential threat in South African conditions, especially since all his Tests so far have been played on slow and dry pitches. It will be a battle of two bowling attacks – South Africa’s high class pace battery pitted against Pakistan’s young fast-bowling crop and of course, Saeed Ajmal. With conditions usually tilted in favour of the bowlers, expect all three Tests to end in results (why, only one out of the last ten Tests in the Rainbow Nation has ended in a draw). South Africa’s top-order are certainly superior on paper, but one must not forget that Pakistan too has a solid batting line-up. A close series is on the cards and after giving a bit of thought, I have settled with the same scoreline as in 2006-07 – A 2-1 win for South Africa. Let us wait and watch.